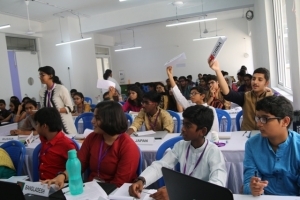 APL MUN 2018 SESSION V was an event organized and managed by the students of APL Global School, Chennai. Hosting a full-fledged MUN conference is a complex affair that demands careful planning, execution and involves a lot of hard work. Our organizing committee members proved it to be true. One could only be amazed at the amount of dedication, effort and enthusiasm they displayed to make the conference a success. The conference had around 200 total participants from different schools in the city and it was held on the 17th &18th of July 2018 as a first event in the humongous new school campus. There were five committees this year-DISEC, HRC, ECOSOC, UNDP and IPC, the agendas included some challenging issues like the Rohingya refugee crisis, Venezuelan worsening economic crisis, Reconstruction and recovery of post-conflict regions and Controlling production and use of small arms and weapons. The two days were filled with sharing of an immense range of ideas, opinions, and perspectives. The spirit of UN could be recognized in speeches, debates, and resolutions where collective knowledge and insight were demonstrated. It was obvious that all delegates would agree that they had a thought-provoking conference and a fascinating MUN experience. When music took centre stage. Music, dance and theatre came together seamlessly at various productions staged by our students over the past couple of months. Hans Christian Anderson is known for some amazing stories for children. One of them, titled ‘Nightingales,’ was dramatized as a musical by our students. 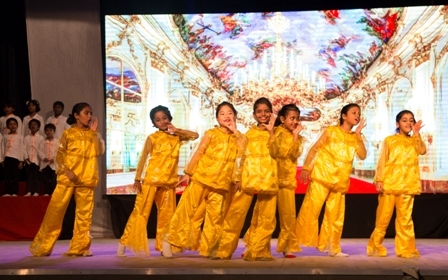 An endeavour to showcase the musical and theatrical talents of the children, this production found plenty of appreciation from the audience comprising parents and peers alike. Another musical that was lauded by the audiences was titled ‘Welcome to The Land of Hattaman.’ The brainchild of Grade 7 and 8 students, this production was a celebration of music and harmony. It was a story about two thieves in a mysterious land surrounded by odd villagers and no money. What would the outcome be? Witty andgripping, this production captured the viewers’ attention. “Thirst for Truth’ showcased the amazing talent of Grade 8 and 9 students. Conceived, scripted and enacted by these teenagers, the play had a message for all. And finally, there was ‘Not Another Fairytale.’ Written, presented and enacted by Grade 10, 11 and 12 students, this musical had the tag line, ‘Who is the fairest of the all?’ And sure enough, many classic characters came to life once again to take audiences into the world of fairies and fantasies. There’s nothing like music and the stage to bring out the creativity of the young minds, as these productions proved. 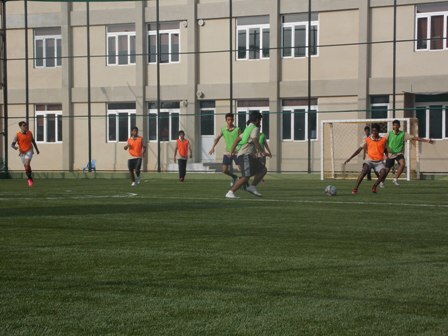 The accent was on that particular thought when the curtains went up on the 5th Inter-School Sports Tournament 2018, held recently at the new APL campus. Students from schools across the city came with eagerness in their eyes, strength in their limbs and courage in their hearts to take back what they had set out to achieve. Team spirit was the order of the day as most of the events had to be played by groups. Except perhaps the individual sport of tennis and badminton. The event proved to a wonderful opportunity to interact for students from different schools to mingle with one another. They might have won or lost, but the spirit of sportsmanship reigned supreme!